ECDS is proud to announce two new digital scholarship fellows for the 2016-2017 academic year. Funded by the Lewis Beck Foundation, the Beck Fellow uses their fellowship period to learn about methods in digital scholarship including text markup with xml, text analysis, network analysis, relational databases, digital publishing, including web site building and possibly, programming for website production. Fellows have the option of pursuing a project of scholarly interest related to the digital humanities. The Beck Fellow may collaborate with interdisciplinary teams of researchers, librarians, and technologists to explore tools for quantitative text analysis and visualizing textual data. 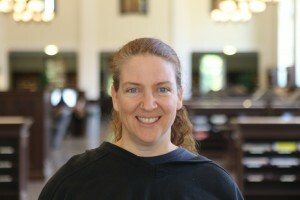 Erin Roark is a PhD candidate in the Department of Spanish and Portuguese. Her dissertation research focuses on contemporary representations of Al-Andalus (medieval Islamic Spain) in films, poetry, paintings, and TV series. She compares works created in Spain with works from North Africa (mostly from Morocco and Tunisia). For her Beck Fellowship she is helping to build a database to house the content of Samuel Beckett’s correspondence. Currently she is tagging names in the database and will eventually create the graphics for a proposed website that will house the database. This fellowship supports projects in digital scholarship, computer-based research, and electronic publishing such as the Emory Libraries ePublications, born-digital multimedia projects, and digital archives. ECDS Fellows collaborate with interdisciplinary teams of researchers, librarians, writers, and technologists; they will serve as project researchers, content administrators, editorial associates, and reviewers for the academic year. Fellows learn about changing practices, tools, and products of digital scholarship as well as gain training in project development, project management, developmental editing, online presentation, and digital archiving. Adam P. Newman is a PhD candidate in the Department of English at Emory. He has taught courses in disability studies, the civil rights movement, and depictions of care in American literature. His dissertation project, “Caring Across the Color Line: Race, Disability, and Scenarios of Dependency in 19th Century American Literature,” interrogates the repeated representation of interracial relationships of care in nineteenth-century American literature and how such representations encode the anxieties and fantasies around dependency in nineteenth-century America and how they were shaped by race, gender, and disability. 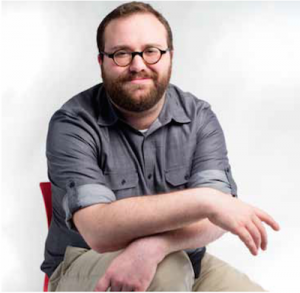 In his current position as the Woodruff/ECDS Fellow in Digital Humanities, Adam is serving as an associate editor for Atlanta Studies and in that capacity is helping manage all elements of the digital publication. stories Atlanta Studies, digital humanities fellowship, ECDS fellows, fellowships, Lewis Beck Foundation Fellowship, Samuel Beckett. permalink.